A full 74% of millennials think they can make a difference in the world. I came across this statistic recently and for some reason it has stuck with me. I am part of the millennial generation, and I didn’t need to see this statistic to sense the desire to be world changers. I see it every day amidst my peers, this goal to make a difference, to leave a mark. We live in an age of social media, where information and maybe more importantly, stories, are available at the click of a button. We see every detail of everyone else’s lives, and inspirational “success” stories go viral frequently. We read about people who are doing truly incredible things, things that change the lives of large numbers of people. And I know there are some, like me, who read these things and wonder if we should be doing more. We have lost the ability to see the value in small things. We have lost the long view. The study that found this statistic didn’t ask exactly how millennials think they will go about changing the world. As I have thought about it more, I wonder if any of them thought of the thing that came to my mind. Do you know that if you have four kids, and your kids each have four kids who also have four kids, etc., that by the tenth generation you will have 1,048,448 descendants? Now, not everyone will have that many children, but even if you crunch the numbers with two kids, it is over a thousand. It can be hard to see the true value of motherhood when you are in the thick of it. As I was sitting down to write this post, I thought of a TV show that I watched recently, where every possible thing that could go wrong on Mother’s Day did go wrong. 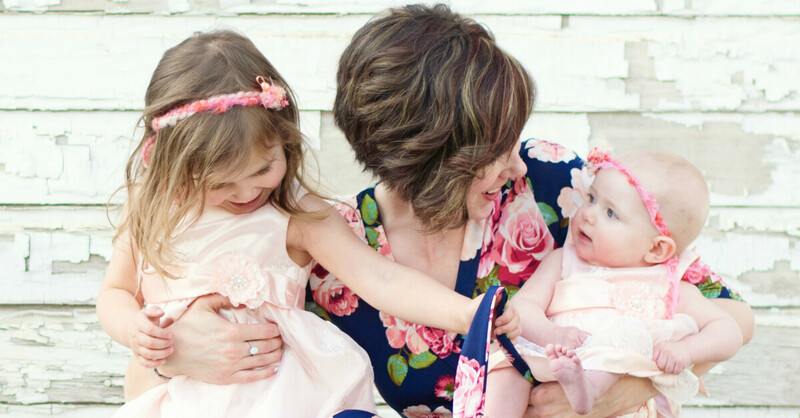 I think every mom has had a day like that (hopefully not on Mother’s Day), where we feel like nothing we do is really that important. But that is a lie from Satan, because the “small things” of motherhood? They matter. Your best chance of doing something great isn’t in an achievement that brings worldly accolades, but in these quiet moments of showing the truth of the gospel to your kids and training them in the way they should go. We need to take the long view. Your faithful service as a mother today doesn’t just affect you, it trickles down into the generations that come after you and has an impact on the world and eternity. All the time and effort you put in to train your children and teach them about the Lord? The benefits of that aren’t just for your own family. Your kids learn what’s important from you, and by God’s grace they will choose to follow Jesus too, and that legacy will pass down to affect people you will never meet. Of course, keeping perspective is one of the hardest things to do as a mom, but it’s so important to remind ourselves of the end goal during stressful or discouraging moments. 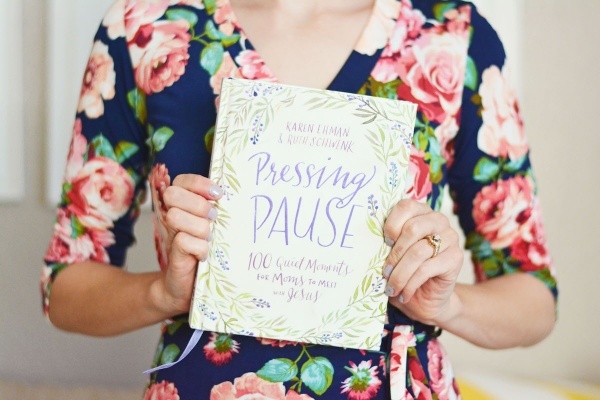 One book that I am loving for this is Pressing Pause, a book of 100 devotions for moms. Each one that I have read so far has helped me remember that my job as a mom matters, to my kids and the world, but especially to God. If you desperately desire to be a mom and it hasn’t happened for you yet, my heart breaks for you. Please know that your “children” do not have to even call you mother for you to have an eternal impact in their lives, and their children’s lives. Faithfulness in mentoring and friendship can have a lasting influence, whether you realize it now or not. Pour into someone while you wait. If you have a mother who poured her life into you and taught you to love Jesus, take a minute to thank her for being part of this godly chain. She has a claim on this legacy too. Rise up and call her “blessed”. If your relationship with your mom was not as God meant it to be, know that a godly legacy can start with you. Maybe you see those success stories in the news too, and it’s hard to feel as if living your quiet life faithfully for the Lord has much of an impact, but the truth is that you just can’t see that impact yet. Your work as a mom matters, maybe more than anything else you could do with your life. I’m putting a sticky note on my bathroom mirror with the number 1,048,448 to remind me that today I will pour not just into these four little lives, but into children I will never know. It is hard to deny the positive effect of thousands of people who might live their lives for Jesus because of your example, and you can plant some of those seeds now, in these quiet moments when no one but God sees. You have a part in shaping the future through shaping your kids. What is one way you can celebrate how you’ve changed the world through mothering? 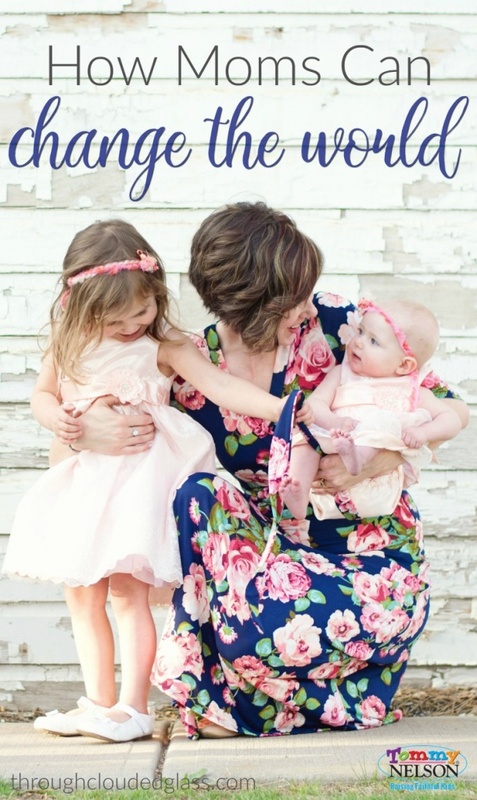 This entry was posted in Blog, Tommy Nelson and tagged Moms Can Change the World, Mother's Day, Motherhood, purpose, World Changers by Callie Nicole. Bookmark the permalink.